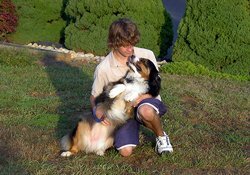 Meet the Veterinarians & Team of CEDARCREST Animal Clinic in Fishersville, Virginia! For more information or to setup an appointment, call us at 540-943-7577 to speak to one of our top-rated staff members! 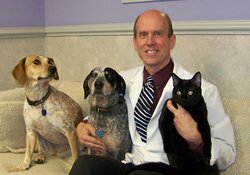 CEDARCREST’s medical director is among the highest qualified veterinarians in the US. 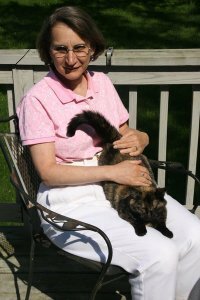 Along with 35 years of professional experience, Dr. Olkowski is a Diplomate of the American Board of Veterinary Practitioners for two specialist certifications—one for Canine and Feline animals (dogs and cats), and the other for avians, or birds. He is the only practitioner in Virginia to be double boarded in these two specialties. 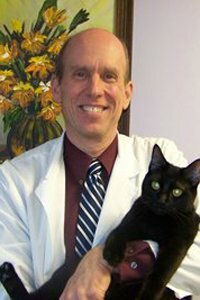 Dr. Olkowski received his DVM from Cornell University and came to CEDARCREST Animal Clinic in 1989 after practicing for six years in Albuquerque. In addition to caring for CEDARCREST’s family of patients, he has a home full of pets: two hound dogs, a trio of cats, Lefty the African grey parrot, and a cockatoo named Qwyll. From the age of five, Dr. Roudette dreamt of becoming a veterinarian. 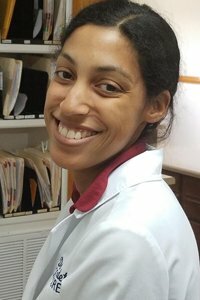 She made that dream a reality in 2017 when she received her doctorate of veterinary medicine from the Virginia-Maryland College of Veterinary Medicine at Virginia Tech. Her special interests include reproductive medicine and ophthalmology. She also loves working with small exotic mammals— Bring on the chinchillas! Her best friend is a three-year-old dachshund/Jack Russell mix named Jojo. Dr. Chodrow lives in Staunton. 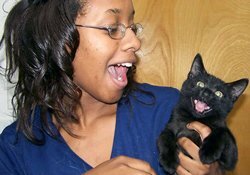 In addition to running the house call practice, At-Home Pet Care, she teaches part-time at James Madison University in the Department of Biology. Dr. Chodrow obtained her B.A. from Harvard University, an M.S. in zoology from the University of Massachusetts, and her doctorate in veterinary medicine from the University of Pennsylvania. She plays the recorder in several early music groups, and also is an active member of the Temple House of Israel. Her other hobbies include needlework and calligraphy. The number one goal at CEDARCREST Animal Clinic is to keep your pet healthy! Healthy pets are happy pets. To achieve this goal, our team emphasizes preventive wellness care to maintain your pet’s health and assist in disease prevention. Our preventive wellness care services include nutritional counseling, comprehensive oral health assessments and treatments, immunizations, and regular blood test screenings to detect early signs of a disease. Prompt detection of cancer, diabetes, and other metabolic diseases can save your pet from more extensive treatments or hospitalization if therapy is started early in the disease process. Our second goal is to return sick or injured pets to health and a good quality of life. 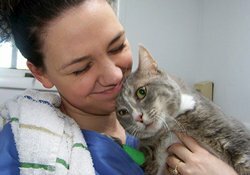 Our staff includes veterinary general practitioners as well as a double Board-Certified Specialist! They are available to examine, diagnose and treat a wide array of problems in most companion animal species. Our veterinary specialist can assist in those complex medical or surgical conditions that require special diagnostics or treatments. We’ve answered some of the more common questions we receive about our practice below. Also see our FAQ for dog boarding for boarding specific questions and answers. Feel free to contact us if you would like more information or do not see your question answered here. A: We see all types of small companion animals, birds and exotic pets! Along with our dog and cat friends, we also see ferrets, rabbits, guinea pigs, chinchillas, hedgehogs, rats, mice, gerbils, hamsters, snakes (non-venomous only), sugar gliders, iguanas, monitors, skinks, turtles, tortoises…and more! We commonly treat a variety of pet bird species like macaws, cockatoos, African Greys, amazons, conures, lorries, cockatiels, parakeets, lovebirds, budgies, canaries and even finches! We frequently see other types of birds like falcons, hawks, pigeons, peacocks and various species of geese, ducks and other fowl….including chickens and turkeys! Wildlife can be seen with the appropriate permits. We do not see large animal species (horses, cows, pigs, etc. ), primates (monkeys), venomous snakes, or any type of “Rabies Vector Animals”, such as raccoons, foxes, or skunks. For more information about the pets we care for, see our services. A: For non-emergency problems, a scheduled appointment will allow you and your pet the opportunity to share your concerns with the veterinarian and hospital medical team. If you present your pet for services without an appointment, we will make every effort to accommodate you given our schedule for that day. As always, any Pet Emergency will be given priority. Click here for our contact information.